Palette - MJP Studio - Furniture. Object. Design. Made. 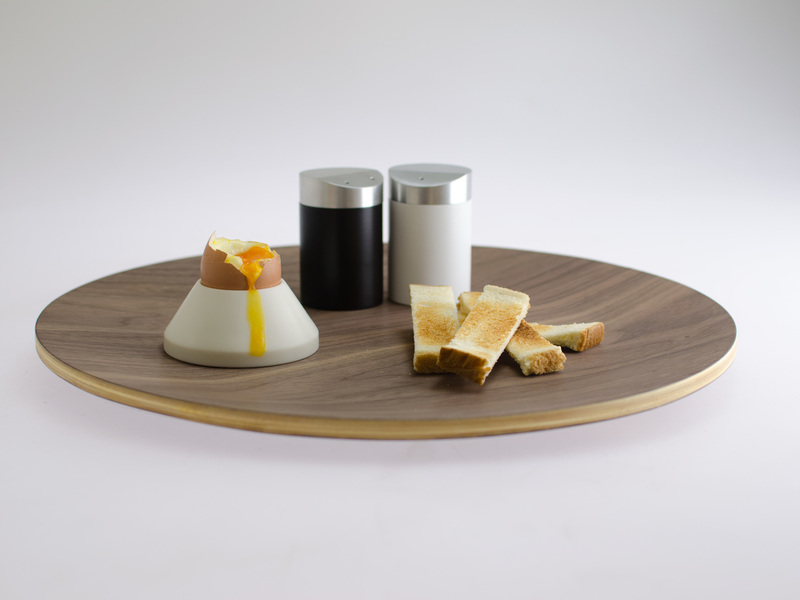 Palette was a collaboration between Rhys Cooper and Matt for the 2015 Drink Dine Design awards. 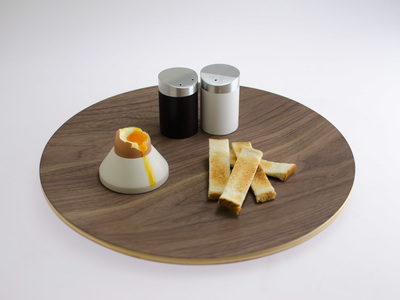 It is a breakfast set for those cosy Sunday mornings in bed, where boiled eggs and toast soldiers will only do. The warmth of the timber tray on your lap, the drizzle of yellow yolk cascading down the perfectly white Corain egg cup, and the weight of a turned Aluminium salt and pepper shaker. A ritualistic object intended to be used and enjoyed. ​MJP Studio. Furniture. Objects. Design. Made.